TERROR EXPERT: FUNDAMENTALIST ISLAM BEING PREACHED ON TOP UNIVERSITY CAMPUS……. – The Tundra Tabloids……. TERROR EXPERT: FUNDAMENTALIST ISLAM BEING PREACHED ON TOP UNIVERSITY CAMPUS……. Radical Islamic extremism is being openly practised at a leading university campus, a report today claimed. Think tank Quilliam said they had evidence of hard-line Islamist ideology being promoted through the leadership of the university’s student Islamic Society at City University in central London. The group had intimidated and harassed staff, students and members of minority groups, it was claimed. 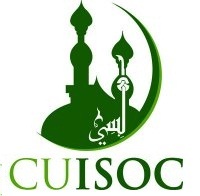 The counter-extremism think tank said they had evidence of the president of City University’s Islamic Society, (ISoc) openly preaching extremism during prayers held on the campus during the 2009/10 academic year. They said the president – Saleh Patel, was recorded saying: ‘When they say to us ‘the Islamic state teaches to cut the hand of the thief’, yes it does! ‘And it also teaches us to stone the adulterer. ‘When they tell us that the Islamic state tells us and teaches us to kill the apostate, yes it does! ‘When a person leaves one prayer, one prayer intentionally, he should be imprisoned for three days and three nights and told to repent. ‘And if he doesn’t repent and offer his prayer then he should be killed. And the difference of opinion lies with regards to how he should be killed not as to what he is – a kafir or a Muslim’. According to students interviewed for the report, the actions of leading members of the ISoc made members of the Lesbian, Gay, Bisexual and Transgender Society (LGBT) feel ‘scared’. Some Jewish students felt ‘intimidated’, and the group’s actions forced ordinary Muslim students to adopt hard-line Islamic practices which led to some Muslim students publishing an open letter complaining that their religion had been ‘hijacked’ by the ISoc. Report author Lucy James, said: ‘It is deeply shocking that such extremism is being openly promoted on a university campus in central London. ‘Such extremism can create dangerous divisions on campuses and, if not tackled, may even lead to terrorism. Previous Post Previous Post VIDEO OF GEERT WILDERS DEBATE WITH FORMER MAYOR OF AMSTERDAM…….